Greater Vancouver home sales roared ahead 52 per cent last month, raising the prospect of a new phase of stability in Canada’s most expensive housing market. The number of properties sold on the Multiple Listing Service reached 2,514 in August, up from 1,689 sales in the same month a year earlier, the Real Estate Board of Greater Vancouver said Wednesday. The increased activity marks the fourth consecutive month that Greater Vancouver has experienced a year-over-year gain in monthly sales, following a 19-month slump in volume. The rebound is a sign that fears of a possible housing market crash in the Vancouver region appear overblown. 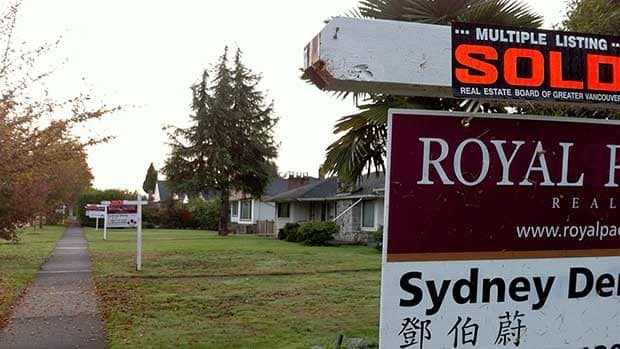 Greater Vancouver’s housing market is gradually on the mend after the 19-month decline in year-over-year resale volume from October, 2011, to April, 2013, said Tsur Somerville, a professor at the University of British Columbia’s Sauder School of Business. The benchmark MLS price index in Greater Vancouver for single-family detached homes, condos and townhouses was $601,500 in August, down 1.3 per cent from the same month in 2012. Since January, however, the price index has risen 2.3 per cent. Mr. Strong said he is being realistic about what is attainable, so a townhouse is on the shopping list. Greater Vancouver’s price index, which strips out the most expensive properties, was $923,700 for a single-family detached home in August, compared with $457,000 for a townhouse and $366,100 for a condo. “It’s a constant analysis for me,” Mr. Strong said, adding that it would be ideal to have a minimum down payment of 10 to 20 per cent of the purchase price. While buyers rushed back into Greater Vancouver’s housing market, the increased sales came after a weak period in the summer of 2012. In July last year, the federal government reduced the maximum period on government-backed mortgages to 25 years from 30 years. Real estate experts say the change, which knocked some first-time buyers out of the market, contributed to the slowdown in housing sales in Vancouver in August of 2012. Sales volume last month was still 4.6 per cent below the 10-year average for August. Board president Sandra Wyant said this summer’s housing market has been much more hectic than it was in 2012, but she doesn’t expect a return to widespread bidding wars. “Buyers and sellers need to recognize that this is an increase in sales. Some buyers might be getting apprehensive that prices are about to surge, but this is a balanced market with stable prices,” Ms. Wyant said. A measurement closely watched by the real estate industry, known as the sales-to-active-listings ratio, registered 15.7 per cent in Greater Vancouver last month. B.C. real estate agents consider it a balanced market when the ratio ranges from 15 to 20 per cent. It is deemed a buyer’s market below 15 per cent and a seller’s market above 20 per cent in the Vancouver region. There were a total of 16,027 active listings last month, down 8.8 per cent from a year earlier. In the B.C. Fraser Valley, 1,258 residential properties sold in August, up 17 per cent from same month in 2012. The MLS home price index dipped 0.6 per cent year-over-year in the Fraser Valley, which includes the sprawling and less-expensive Vancouver suburb of Surrey.